Are you ready to flourish in your “next act”? Are you passionate about fulfilling your true purpose? 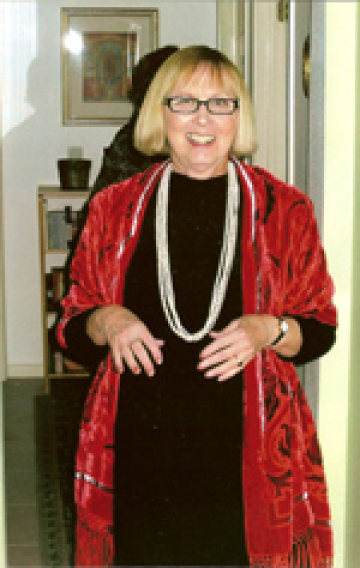 Ready to share your wisdom and lived experience… especially at a time when our world so desperately needs it? Maybe you’ve loved your career, your family, but want to spend the rest of your life doing_________ … fill in the blank! Or maybe you imagine fulfilling a lifelong dream, a fantasy from childhood, an outrageous aspiration that you’ve never even shared out loud! In our mainstream culture, there’s an underlying message that after you arrive at a certain age, you’ve already achieved your goals, reached your pinnacle, and mastered what was meant for you in this lifetime. Yet, the life experiences you’ve navigated, the path you’ve pioneered, the work you’ve done in the world, is only the beginning — a launchpad into an inspiring, fulfilling “third act,” where you give and receive in equal parts, enriching the lives of others and making a difference in everything you do. 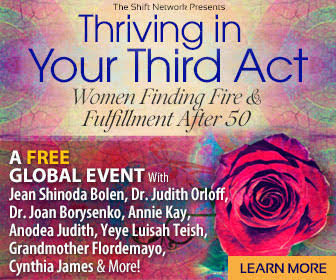 That’s why I’m SO excited to be one of the presenters for Thriving in Your Third Act: Women Finding Fire & Fulfillment After 50 — August 20-24, 2018 — where you’ll discover a clear path, with easy-to-pick-up-and-run-with tools, tips, and practices that will help you manifest your highest potential… and fulfill your wildest dreams! I’m honored to be among more than 20 leaders — including Jean Shinoda Bolen, Dr. Judith Orloff, Dr. Joan Borysenko, Annie Kay, Anodea Judith, Yeye Luisah Teish, Grandmother Flordemayo, Cynthia James, Katie Hendricks, Reverend Deborah Johnson, Camille Maurine, Sarah Marshank, and many others — guiding you with their trailblazing wisdom to support your personal journey of transformation at whatever stage of life you’re in. P.S. On occasion, I may receive a commission or compensation when you participate or purchase a product or service I recommend. That being said, I strive to always offer useful content and resources in each issue of Joyfully Jobless News.